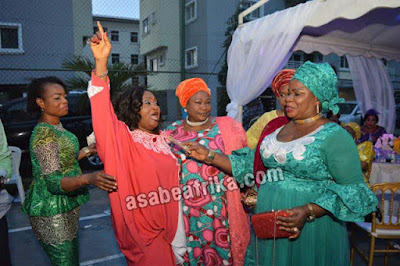 Brilliant articulation in the planning stages is the special ingredient that turns a small event into a unique one. 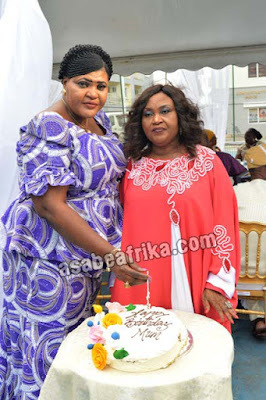 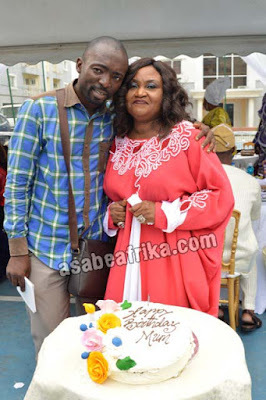 Children of Chief (Mrs.) Basirat Ojugbele a Lagos female politician and APC woman leader in Ojokoro land, Lagos State, South West Nigeria, reaped bountifully, the rewards of good planning when they decided to mark their mother’s birthday couple of weeks back in Lagos. 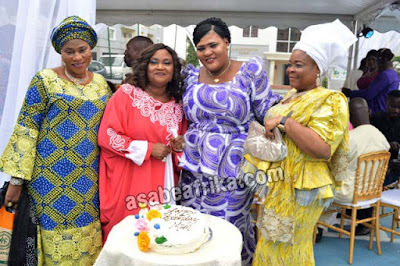 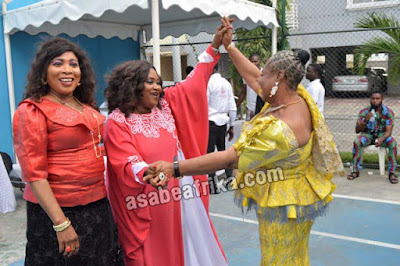 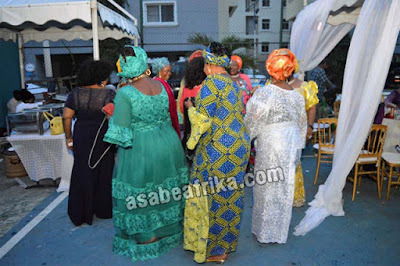 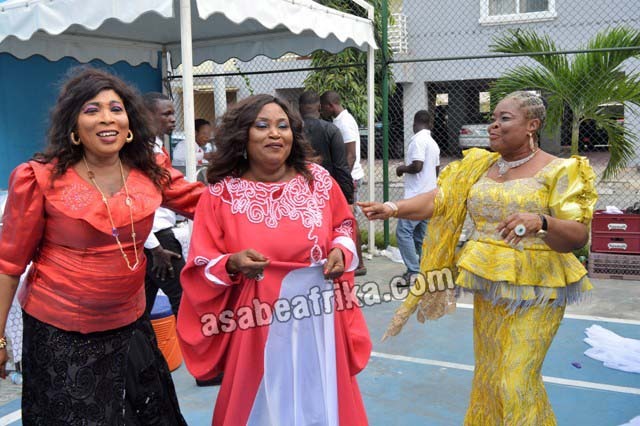 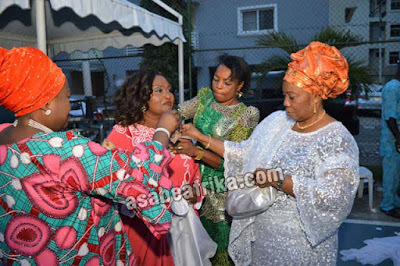 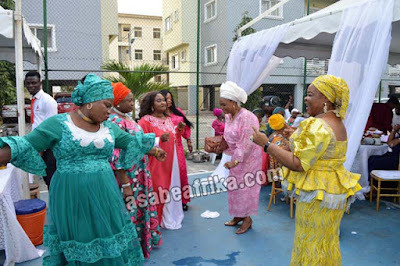 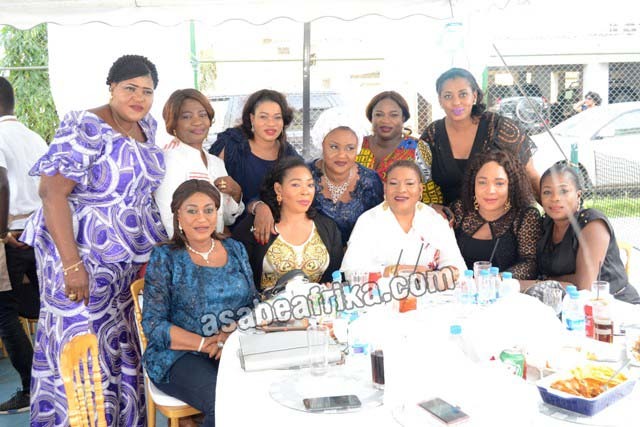 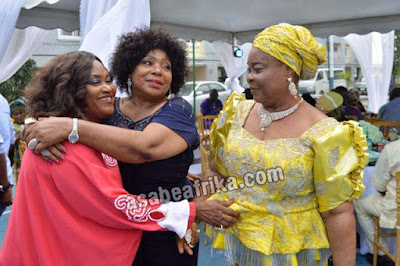 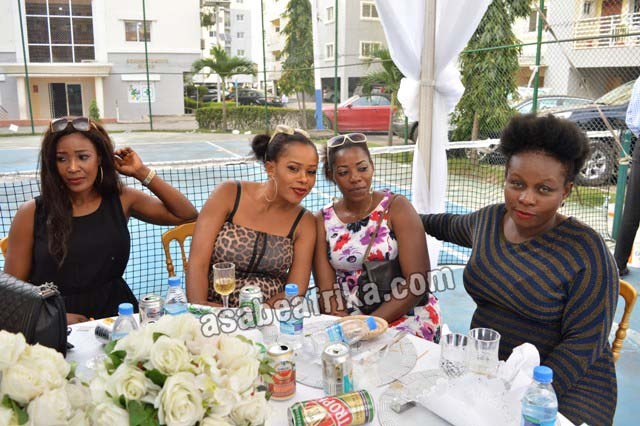 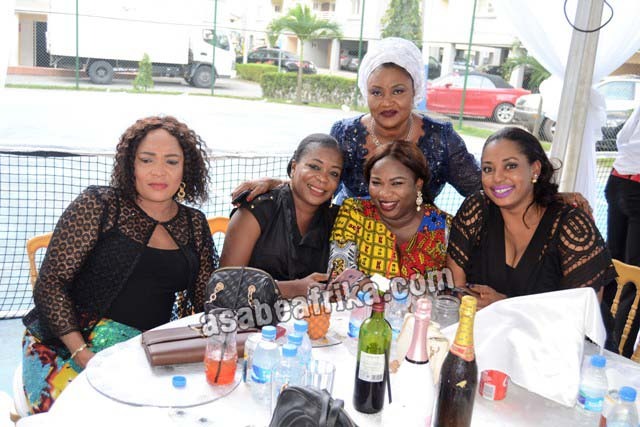 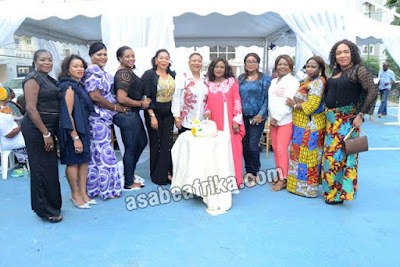 Although, the celebration was meant to be a low key event but it turned out to be an extra-ordinary celebration with the Prime Water-view Garden, Lekki venue of the bash becoming electrified with an influx of top society ladies and politicians from all walks of life that came to celebrate with the lovely and cheerful. 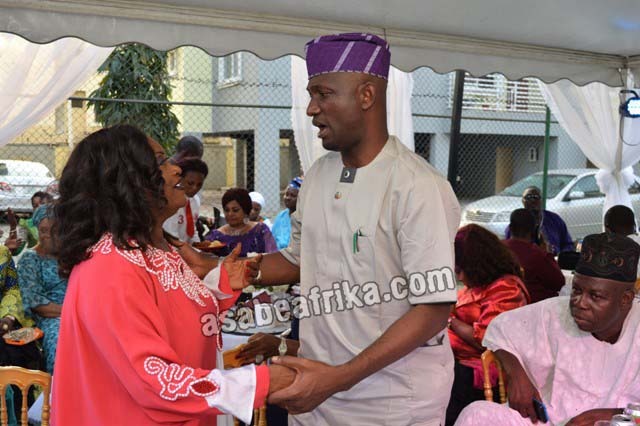 According to Mr. Olukayode Idowu, her first son who spoke exclusively to Asabeafrika, “this event was planned in a week. She told us she would like to mark her birthday and we honored her wish but what we saw today is a testament to mum’s goodwill. 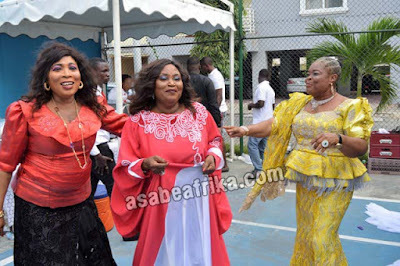 We are overwhelmed”. 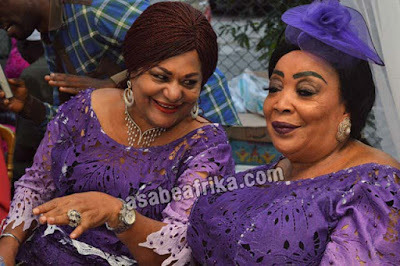 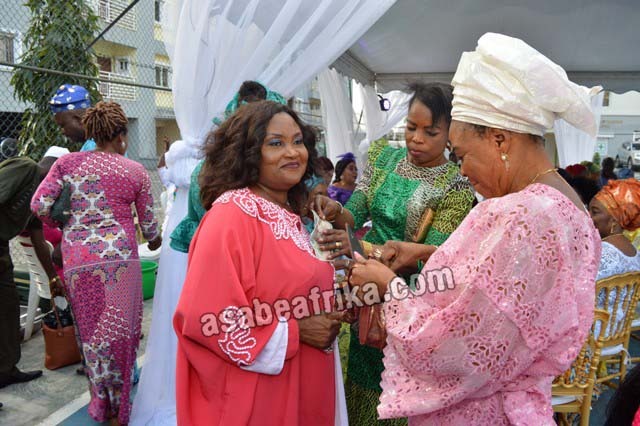 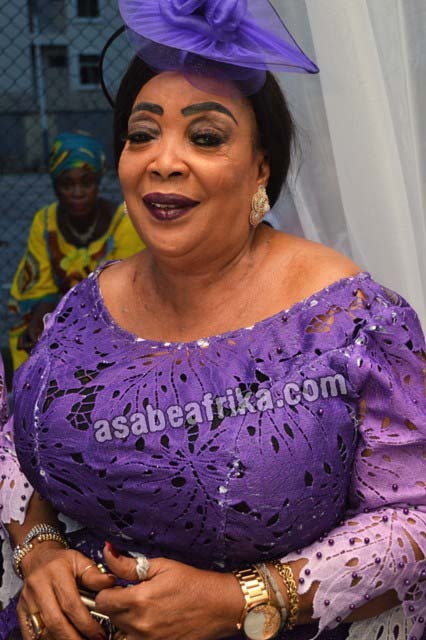 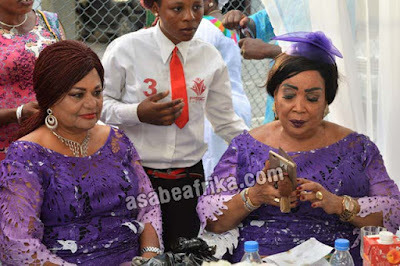 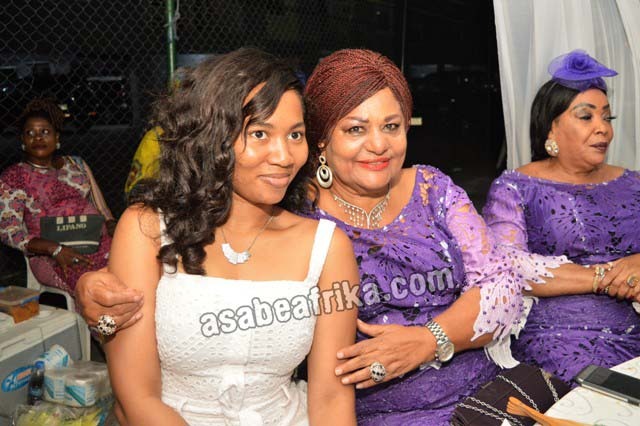 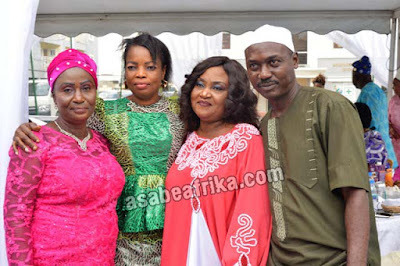 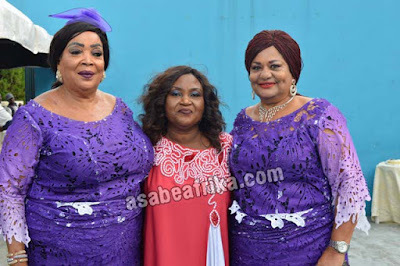 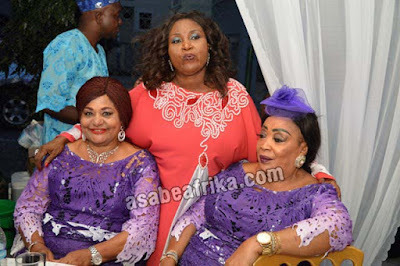 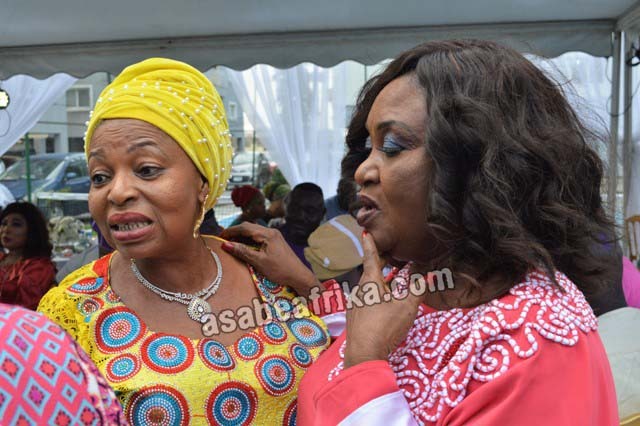 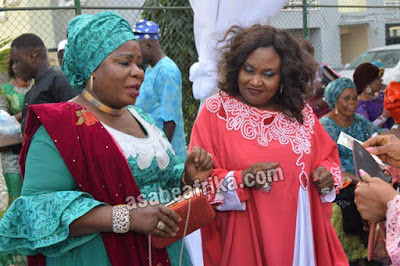 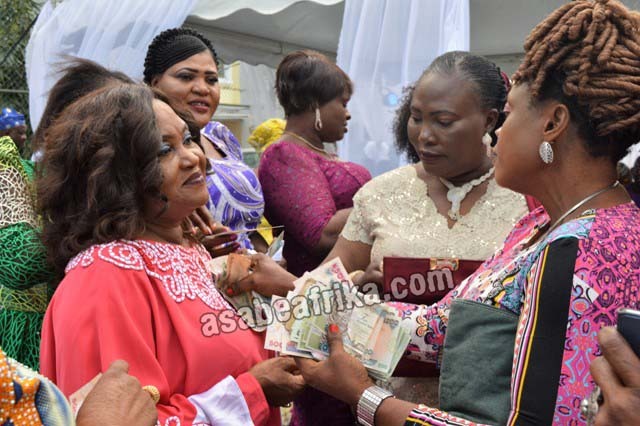 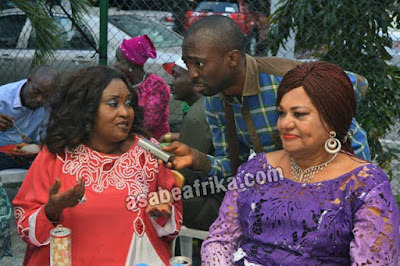 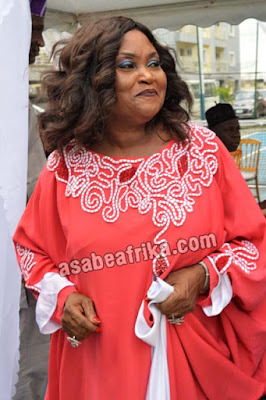 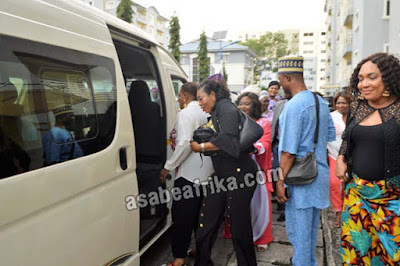 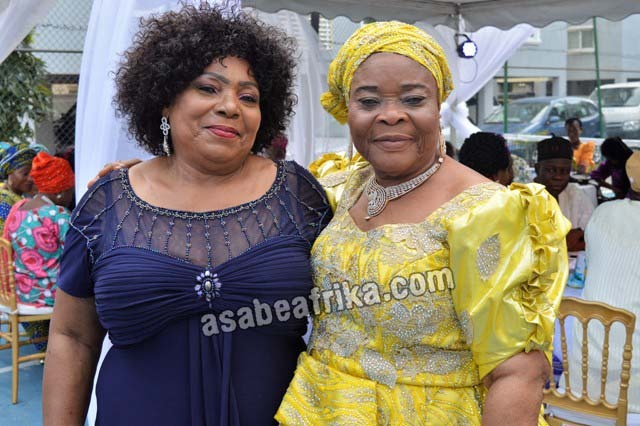 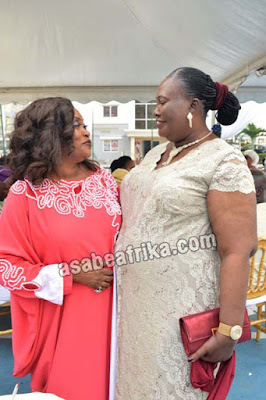 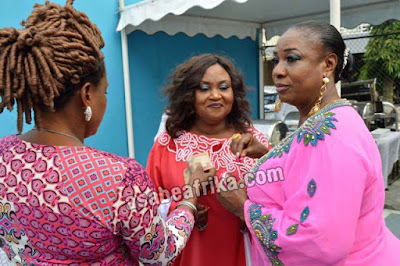 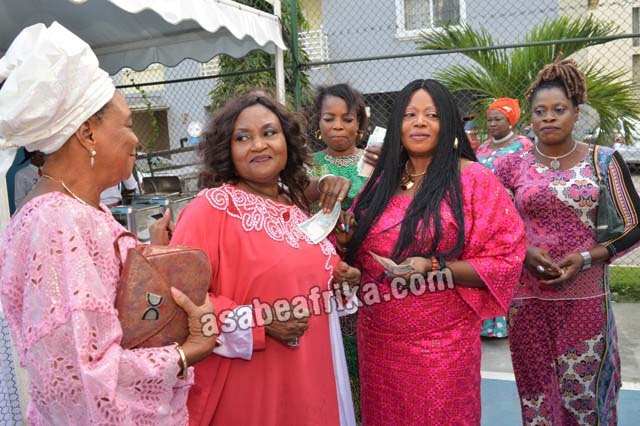 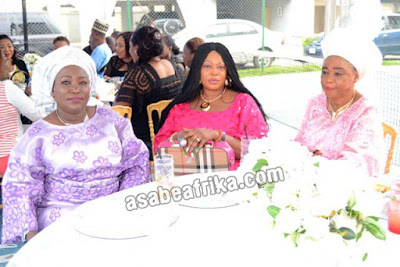 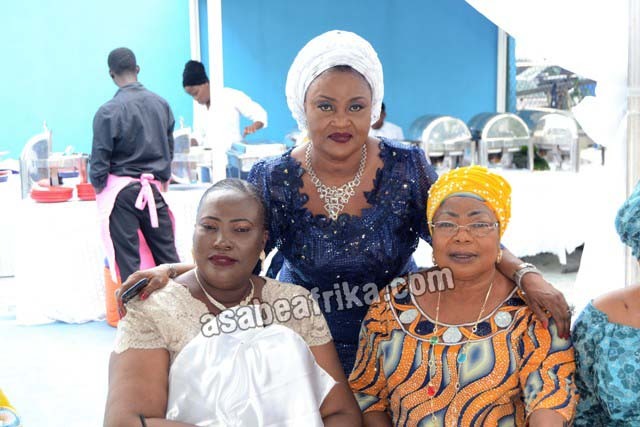 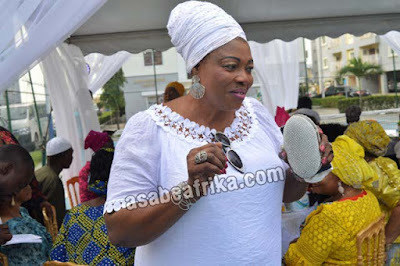 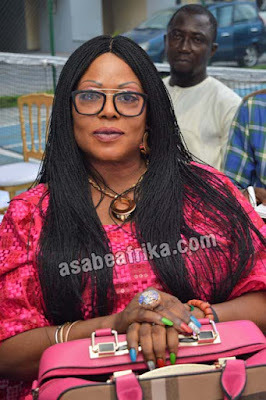 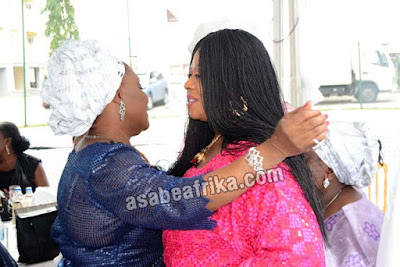 Chief (Mrs.) Basirat Olayinka Ojugbele, an international business woman turned politician is one of the wives of Lagos based real estate merchant, Chief Lamina Ojugbele. 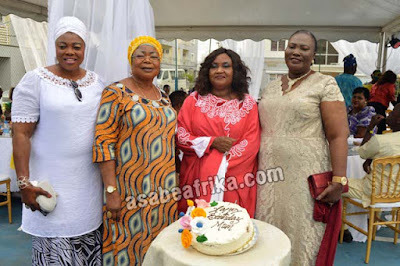 Her birthday event was marked with class and panache with the presence of the All Progressive Party (APC) South West, Nigeria woman leader, and former Commissioner for Women Affairs in Lagos State, Chief (Mrs.) Kemi Nelson dotting the occasion as Special Guest of Honor. 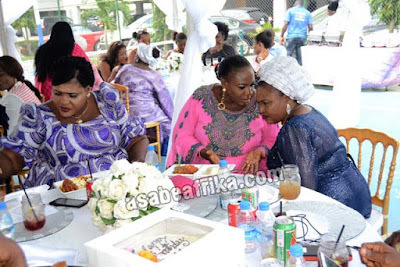 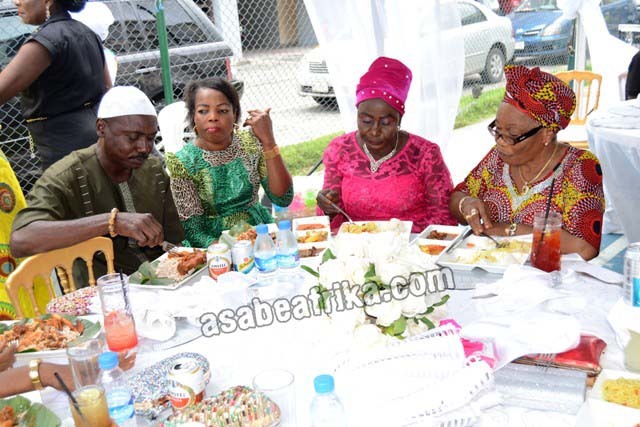 The event started in the early part of the day with special prayers by selected clerics who showered prayers on the celebrant inside the Lekki-Lagos apartment of one of her daughters, before the social segment of the event which began at 12pm inside Prime Water Garden, Lekki-Lagos. 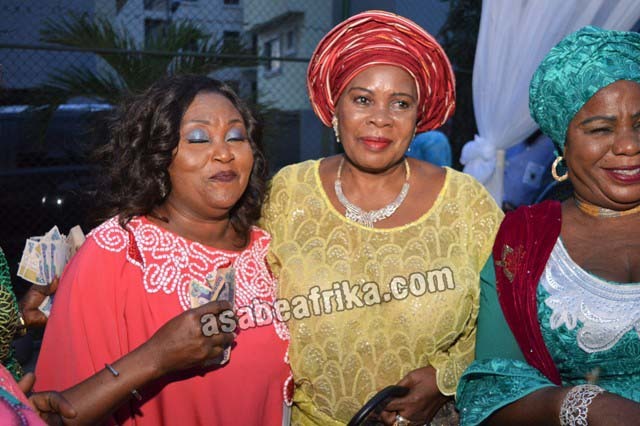 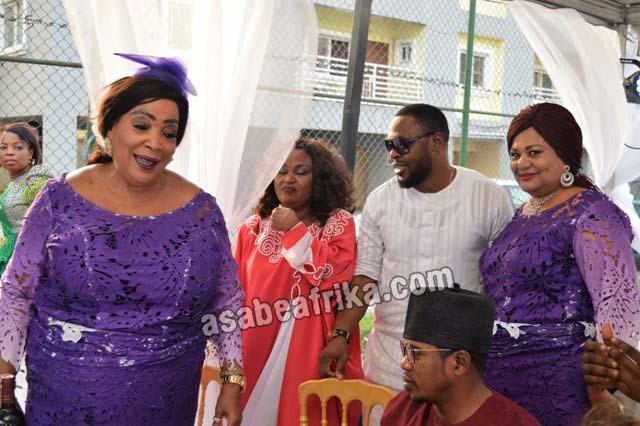 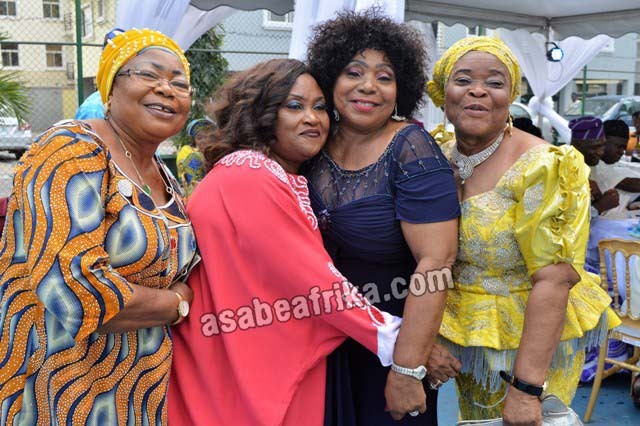 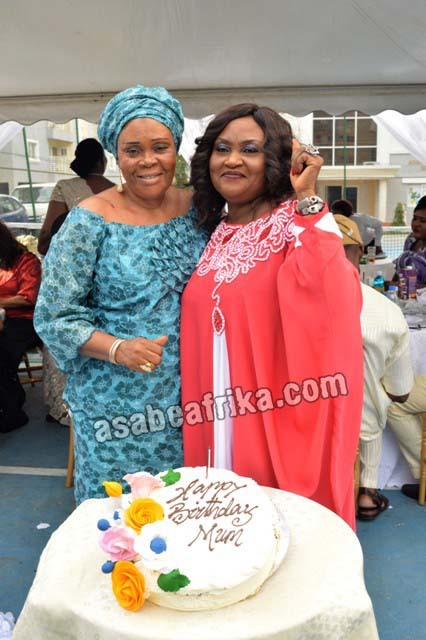 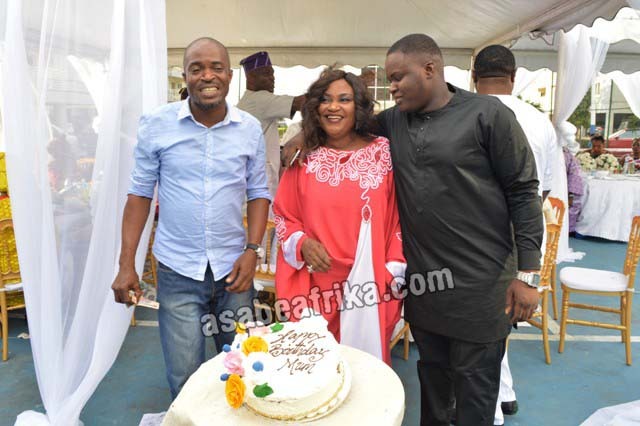 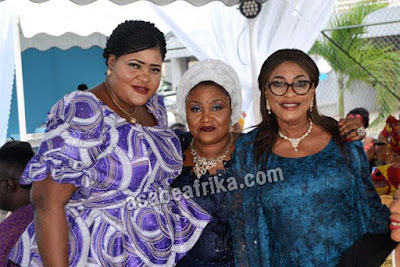 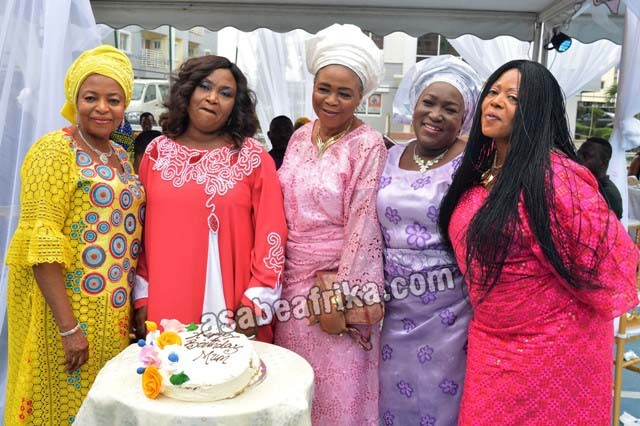 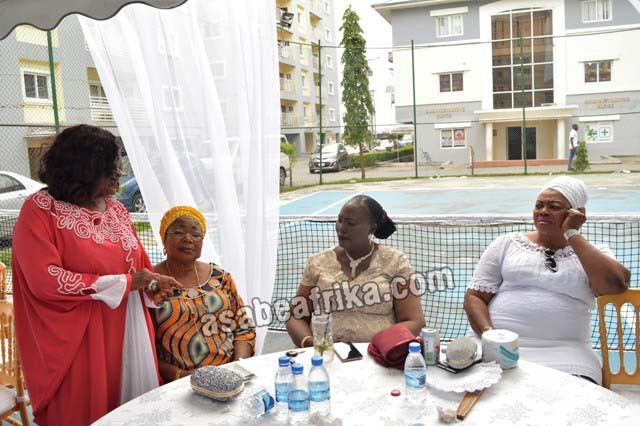 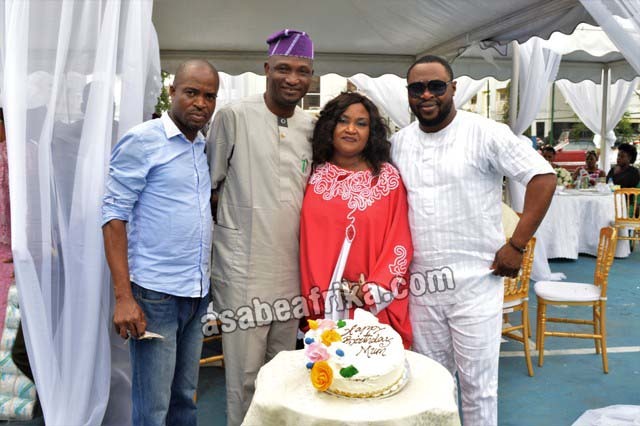 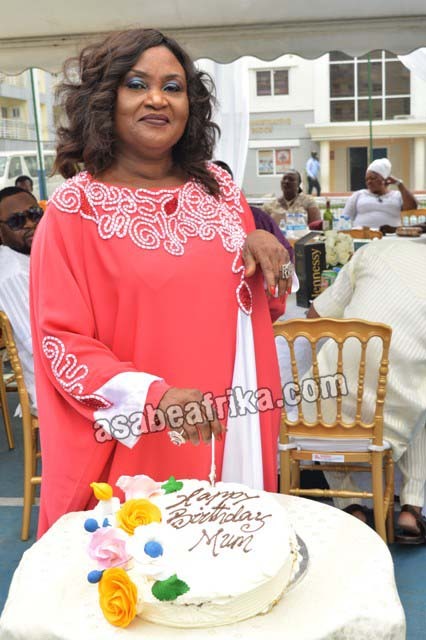 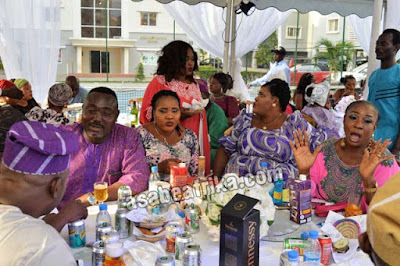 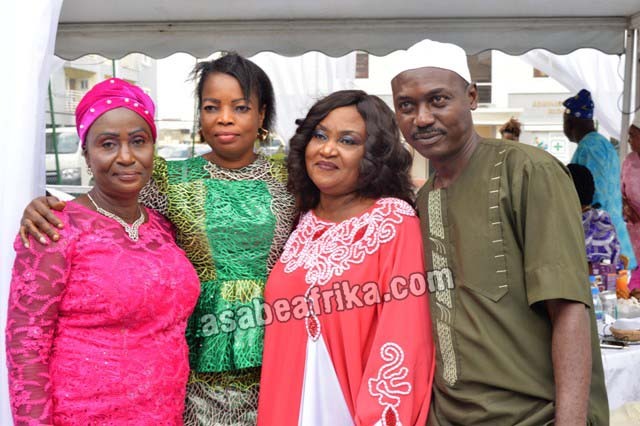 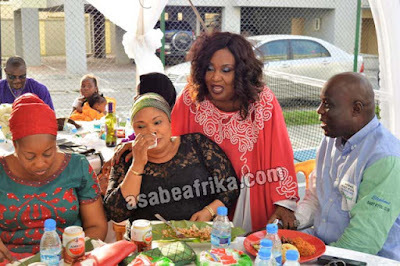 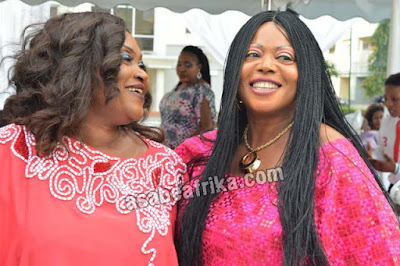 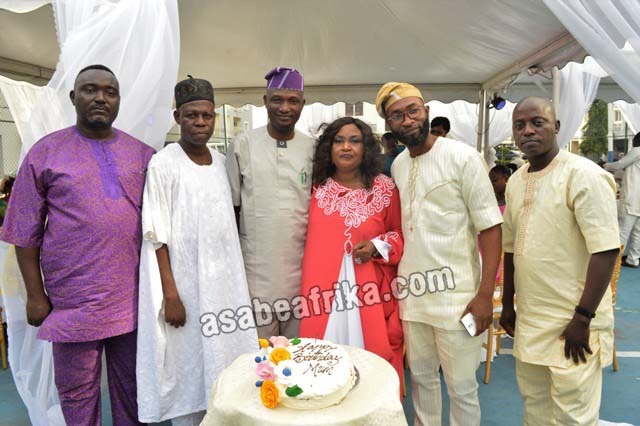 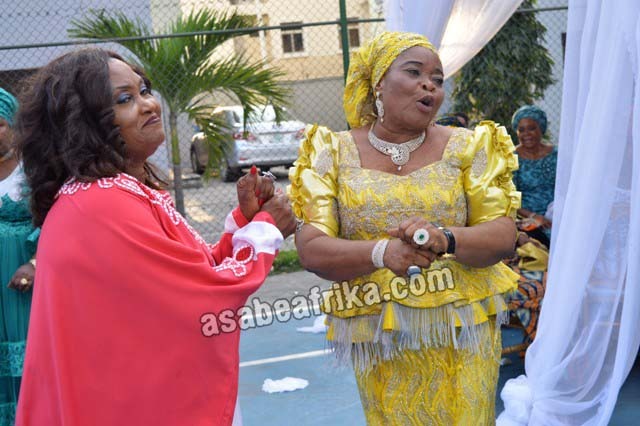 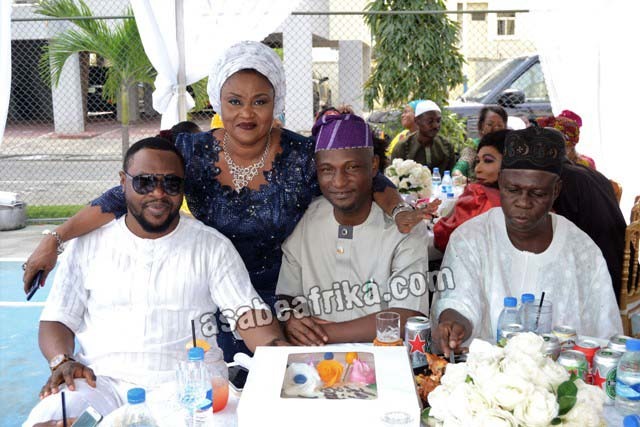 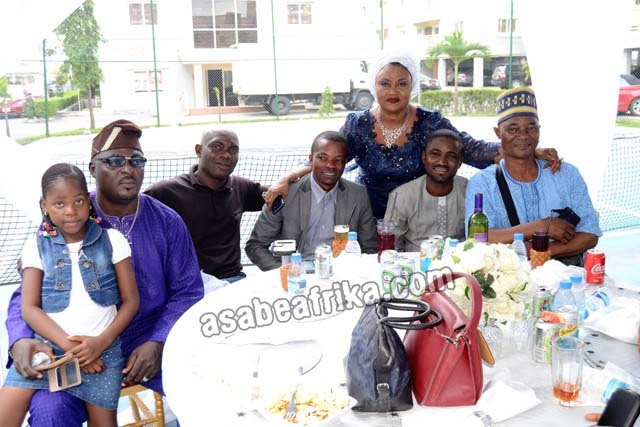 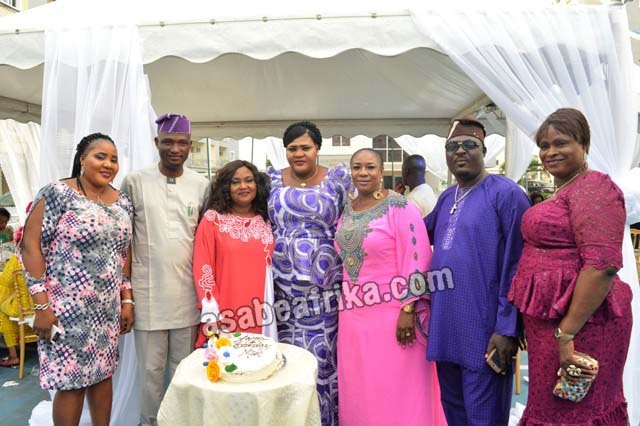 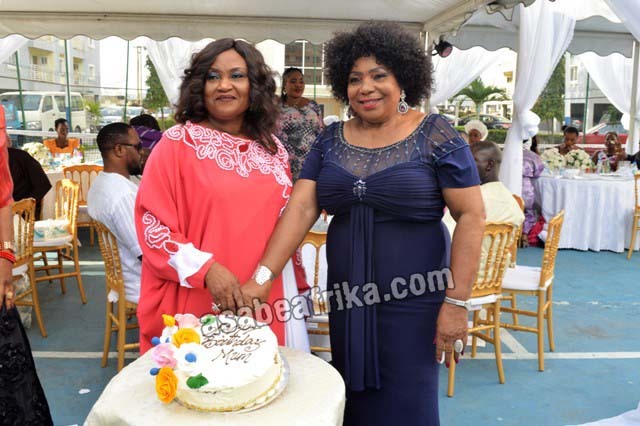 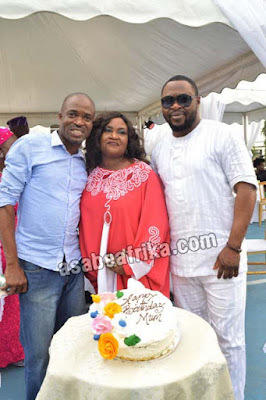 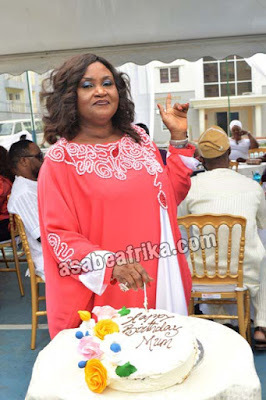 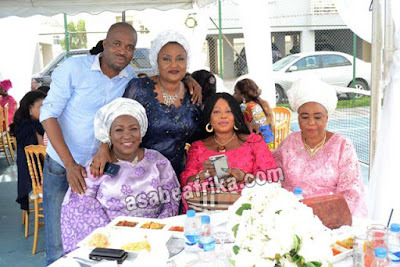 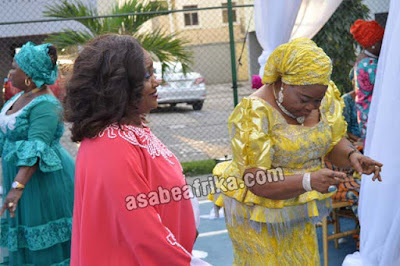 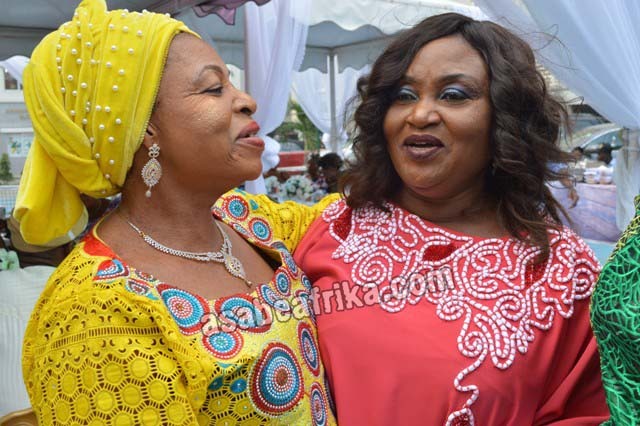 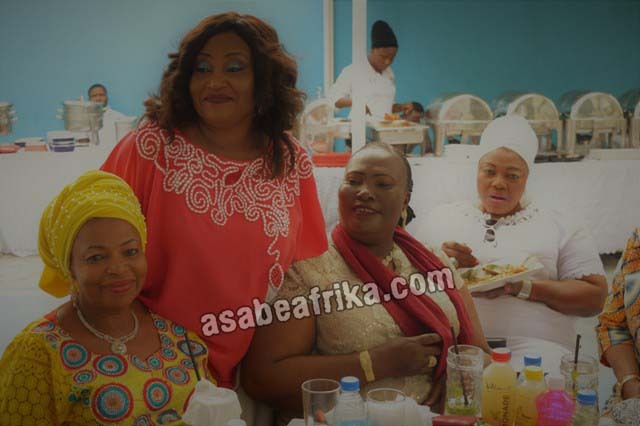 The naturally endowed swimming pool side of the garden played host to an array of friends and political well-wishers who came to felicitate with the very pretty and charming Chief (Mrs.) Basirat Ojugbele. Sumptuous Nigerian and continental cuisines specially prepared by expert hands were provided in good quality and quantity as guests enjoyed music from a Deejay engaged for the event. 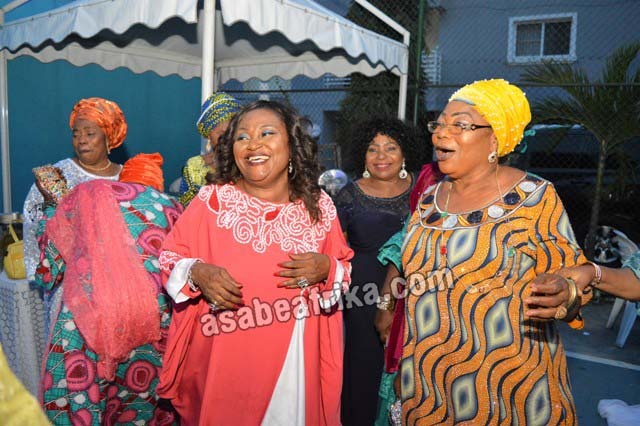 Special numbers of Juju Music Legend, Commander turned Evangelist Ebenezer Obey Fabiyi (MFR) wafted through the air as matured women in their 40s, 50s, and 60s danced to the beautiful songs and jogged their legs to the rhythms blaring from the speakers. 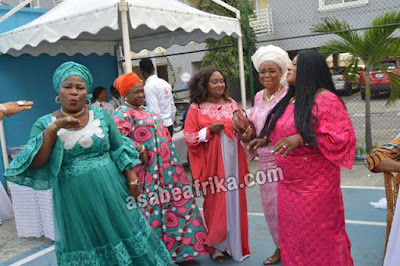 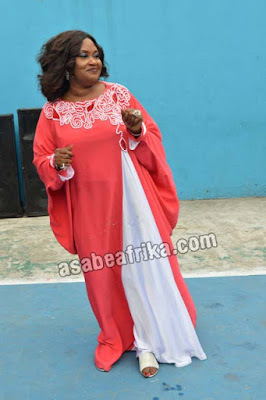 The celebrant who first appeared to her guests in a blue lace iro and buba attire later changed to a pink colored silk evening gown as the event witnessed influx of more dignitaries who blocked the day to celebrate with Basirat Ojugbele. 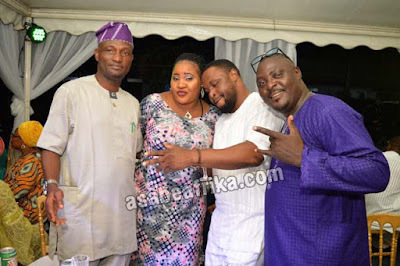 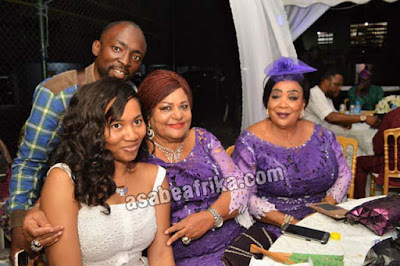 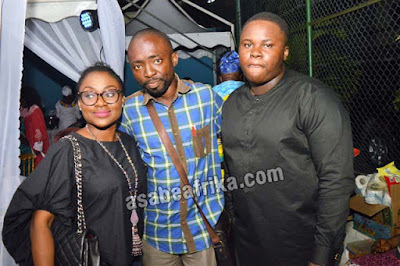 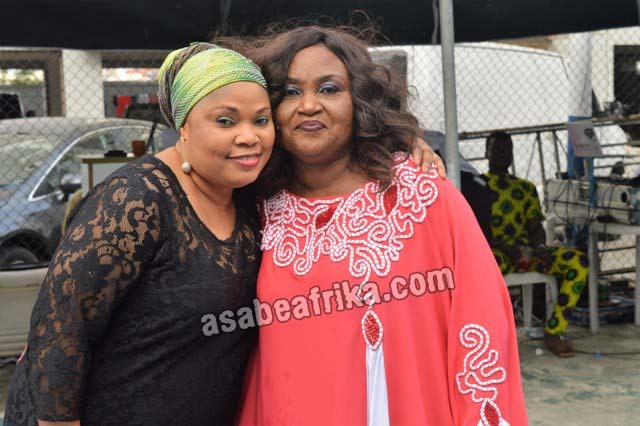 Your Africa’s number 1 Celebrity encounter blog, Asabeafrika spoke to selected guests at the occasion and the gush of goodwill messages were extra-ordinary. 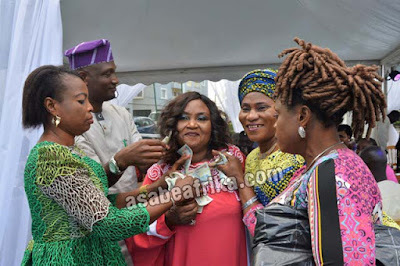 The All Progressive Party (APC) woman leader for South West and former commissioner for women affairs in Lagos State, Chief (Mrs.) Kemi Nelson was first to speak about Ojugbele “She is a very compassionate woman, she is up to her task and a well grounded leader. 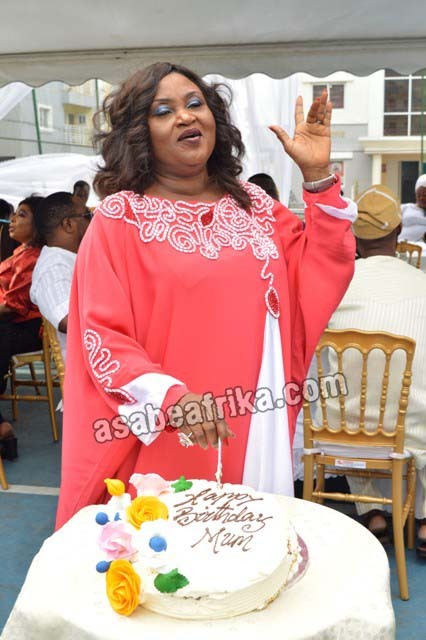 Well, I thank God for her life. 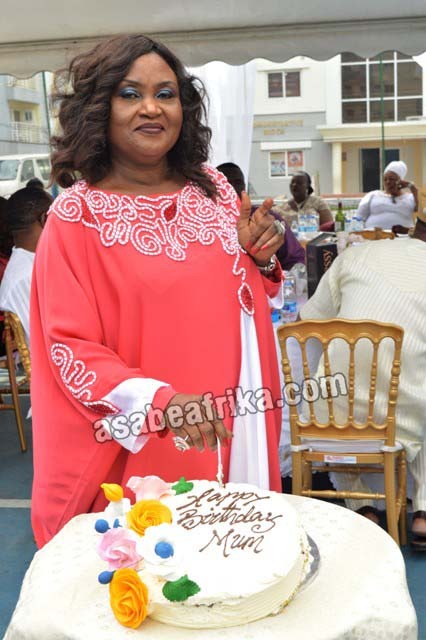 She is looking good for her age and I wish her many happy returns, long live and good healthy, the ex- women affairs commissioner intoned. 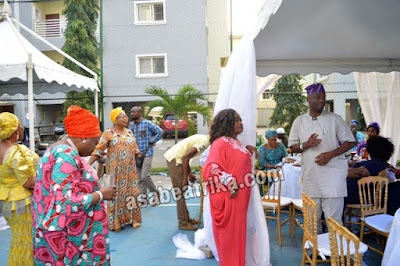 The Executive Chairman, Agege Local Government Area of Lagos, Alhaji Abdul Ganiyu Okunola Egunjobi was next to speak to this blog. 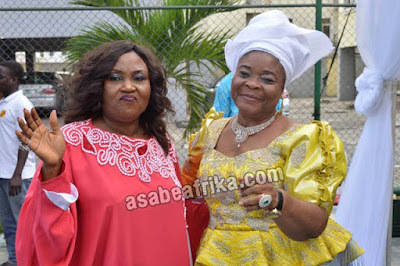 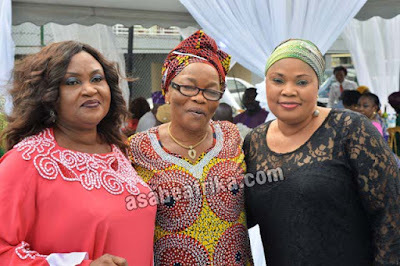 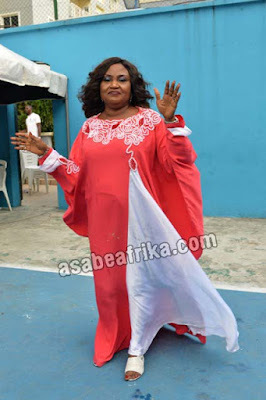 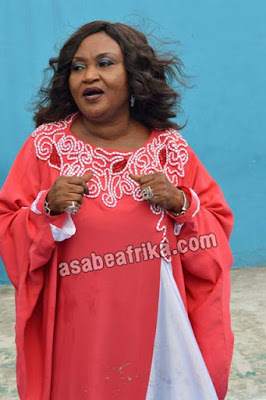 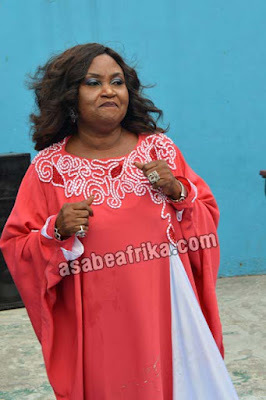 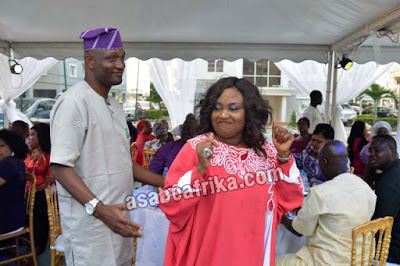 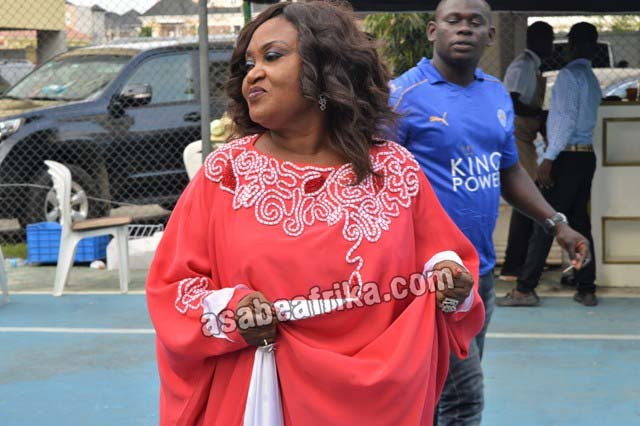 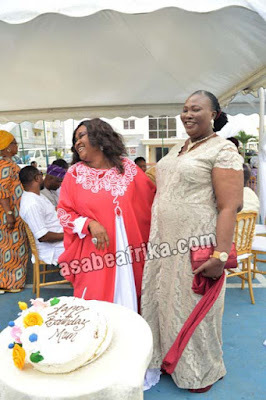 The amiable and lanky politician who stormed the event with his team from Agege had this to say of the celebrant “Chief (Mrs.) Basirat Ojugbele is a mother and sister”. 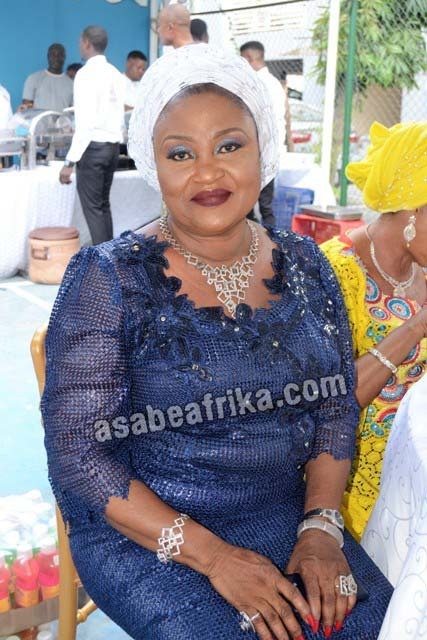 Egunjobi pursed and continued speaking “In fact, she is a wonderful mother to us. 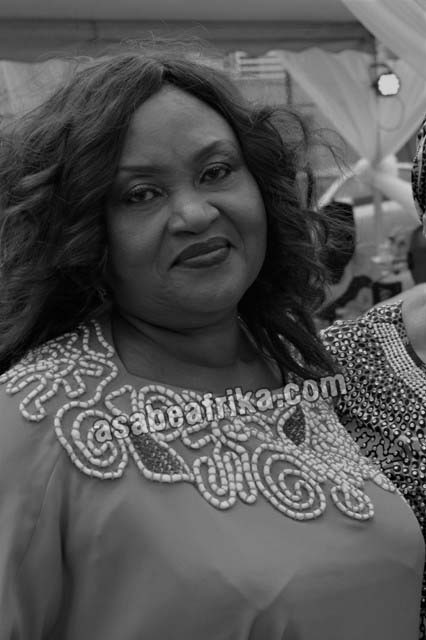 What I know about her is the fact that she is a wonderful woman, a down to earth woman leader and I implore other mothers to learn her ways of life. 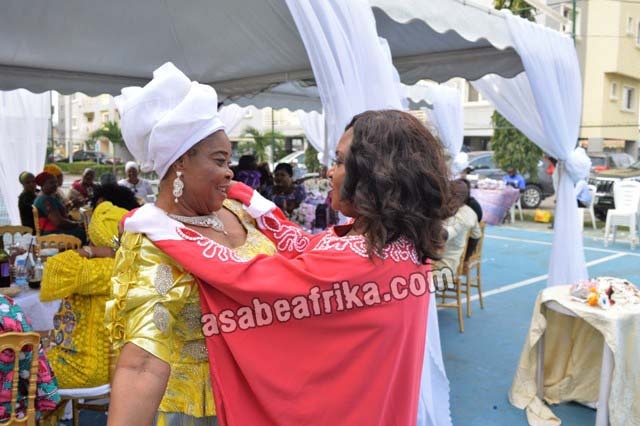 I have known her for over ten years and I can conveniently say she is a wonderful woman”. 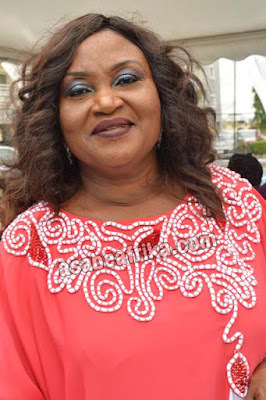 Chief (Mrs.) Bola Britto is APC Woman Leader in Agege LGA and President, Conference 57, a conglomerate of women leaders in Lagos State. 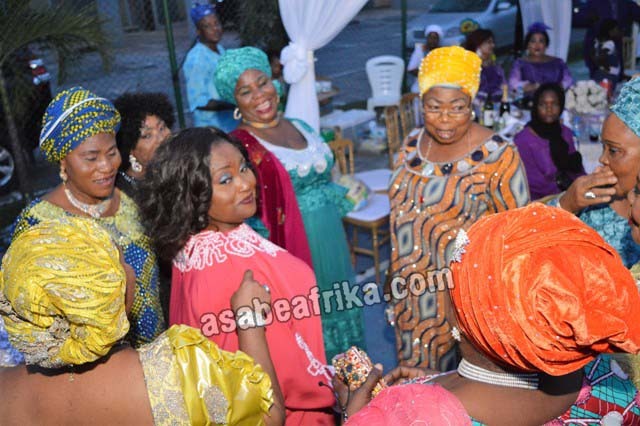 She was pleased to tell Asabeafrika what she knew about the celebrant. Hear her, “Chief (Mrs.) Basirat Ojugbele is my sister, she is my friend and she is my mother as well. I so love her very much and proud to be here to celebrate with her because she is my sister”. 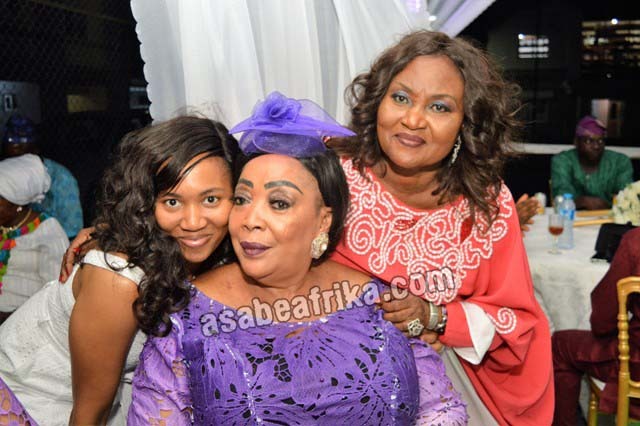 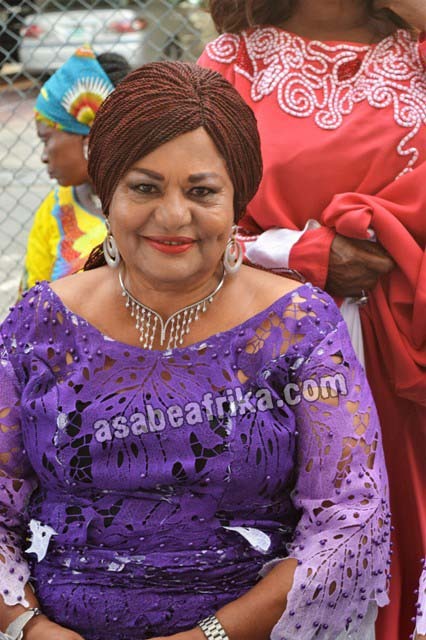 Chief (Mrs.) Alake Adejonwo Oshun is the founder of Jonshland Castle and Suites, Gbagada—Lagos, she described Ojugbele as an epitome of humility “She is a decent woman, a giver, a humble achiever and a very honest friend. 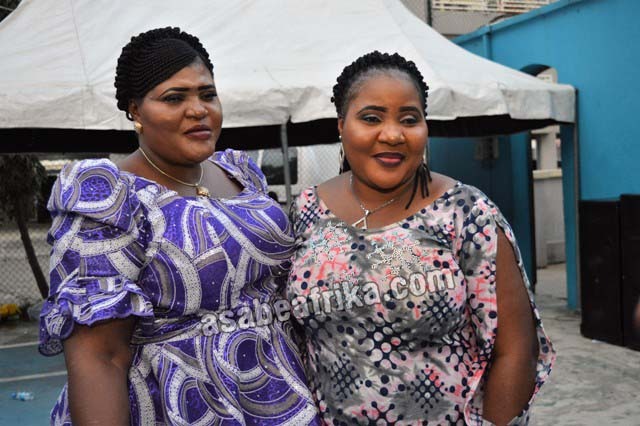 She is my best friend because she is never afraid to say it the way it is. 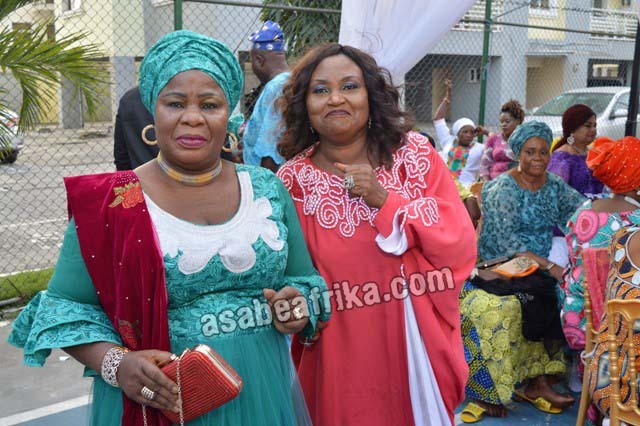 I am honored to be with her today”. Describing her leadership qualities, the Surulere APC Woman leader said her Ojokoro counterpart is more than a mother “Yes, Mrs. Ojugbele is a mother, a busy and kind woman. 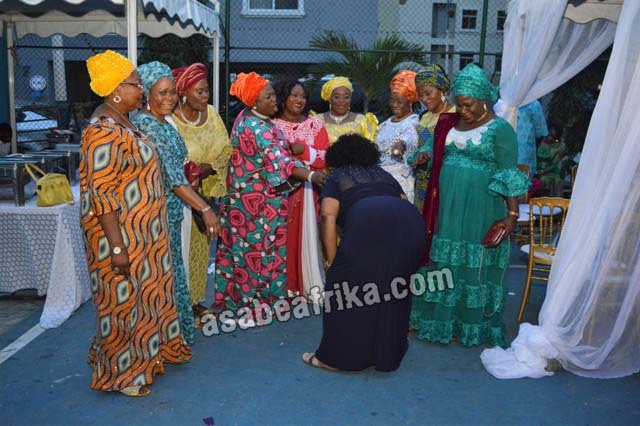 I think the presence of women from all walks of life can attest to what I have just said. I am proud to be associated with her”. 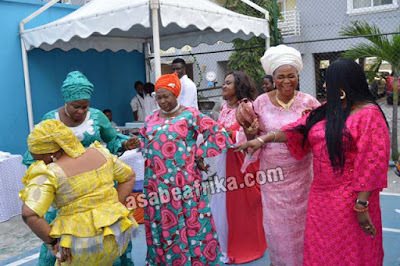 For Alhaja Mopelola Odetola, Deputy Woman Leader, Ojokoro LCDA, it was a moment to define the meaning of having a good boss, “I feel very, very delighted and I thank God for her life. 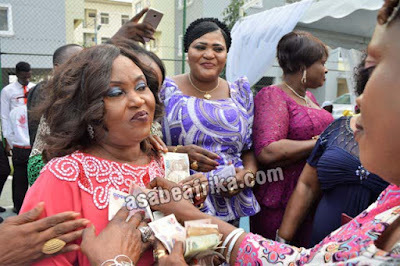 I thank God for her life and for the lives of her children and for the leadership style she is using with us in Ojokoro land”. Princess Idowu Adeogun an executive staff of Ojokoro LCDA seems to understand the celebrant better than other political guests. Hear her “The celebrant happens to be my political mother, a mentor, a very good one. And she is a woman of integrity, she is very generous. 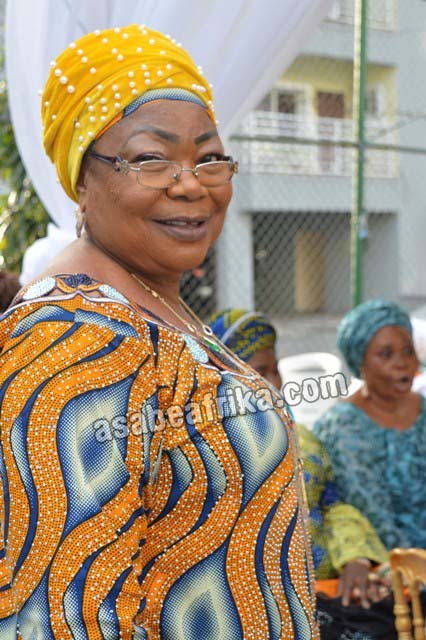 She is very accommodating, she is very nice and she is a very frank woman. She is straight forward and very frank. And that is one of the qualities that I actually admire in her because I am somebody who is straight forward and very frank as well”. 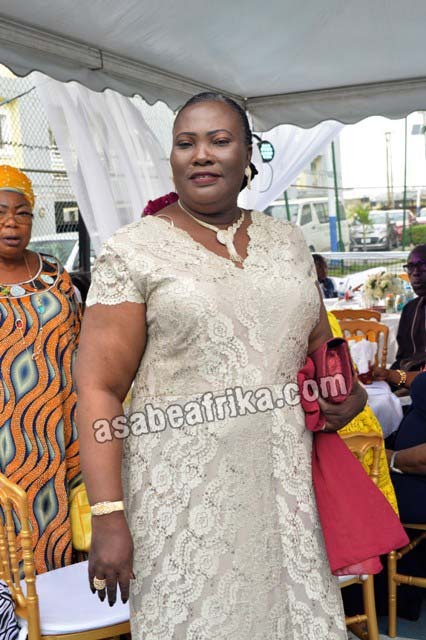 Princess Roseline Omolara Osipitan, founder/CEO, First Royal Oil and Gas Ltd was next to speak. She has equally come a long way with the celebrant and it reflected in her tribute, “Chief (Mrs.) Basirat Ojugbele is a nice person, she is lovely, she is kind and I wish her many happy returns, long live—Olorun a da awon omo si, ise a ma lo s’iwaju. A de ni a lot of long live” she concluded with lots of enthusiasm on her face. 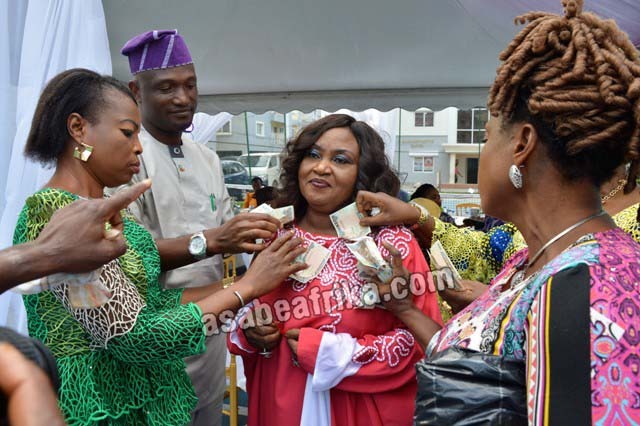 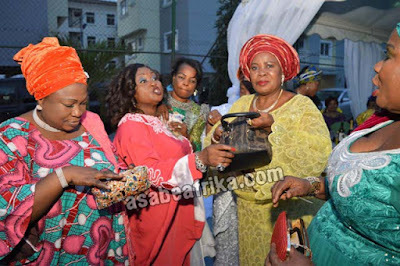 Chief (Mrs.) Risikat Amori Odumosu, CEO, Rizi Fashions and Iyalaje of Gutter Market, Lagos Island was next to give a tribute. 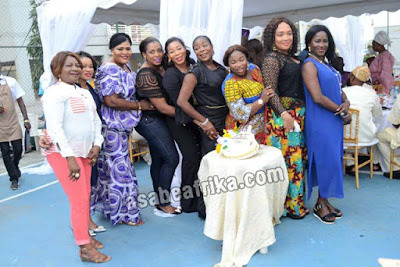 This very beautiful and gifted celebrity lady who loves to keep to her-self has this to say of the celebrant “She is a very nice person, she is very committed. 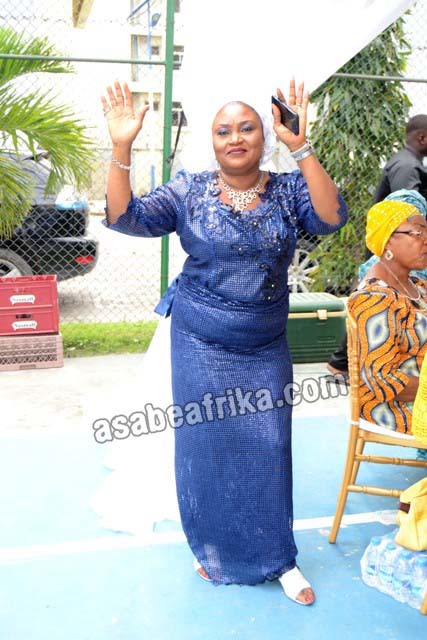 You know if you are committed, you have everything; Mrs. Basirat Ojugbele is a down-to-earth person but equally frank. 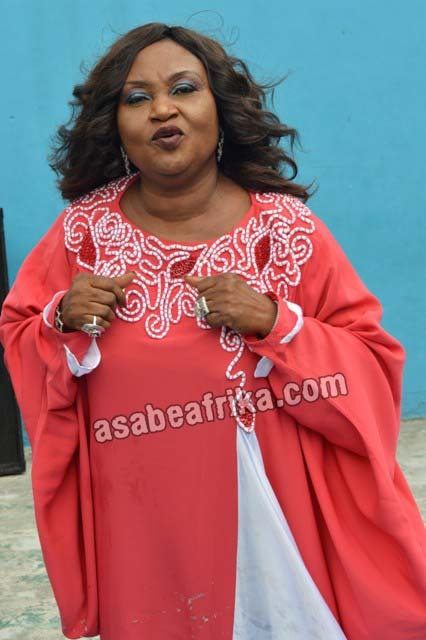 She is a factual person.  Again, when you are factual, it is every value you have. 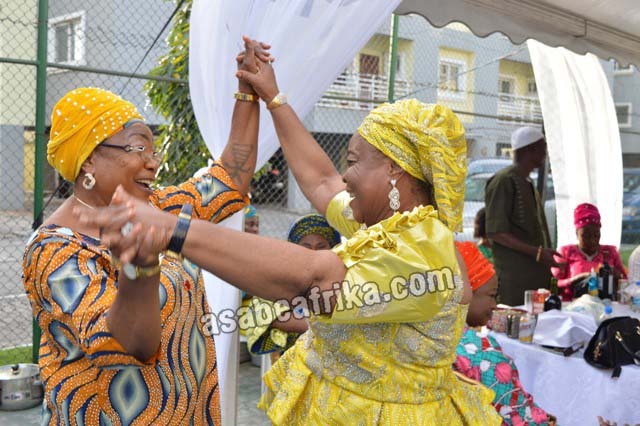 And it is the best of the values to have. 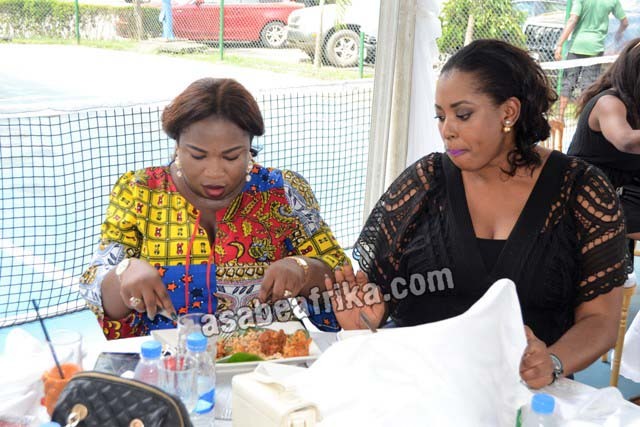 Being factual is being realistic. I have been in trading all my life but I respect being frank and that’s why I like her (Ojugbele). You know when you are factual; you will have so many enemies. 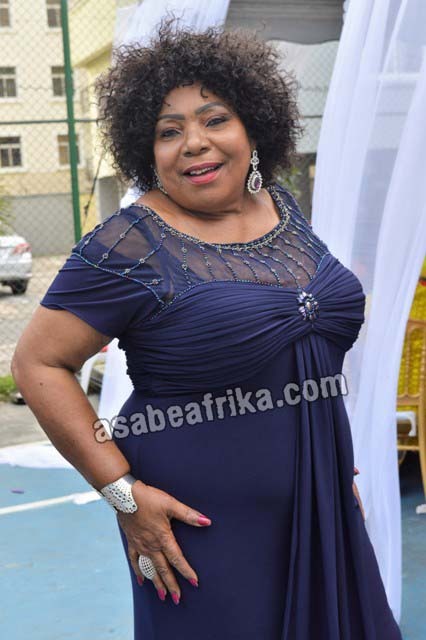 I am equally factual”. 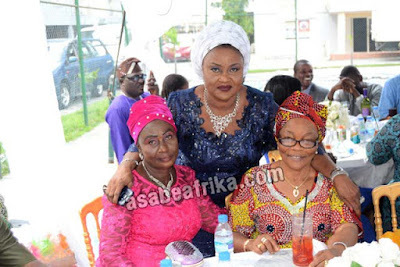 “Alhaja Ojugbele is a wonderful woman” that is how Otunba Musiliu Olanrewaju Apena (Otunba of Ikate Land) described his elder sister. 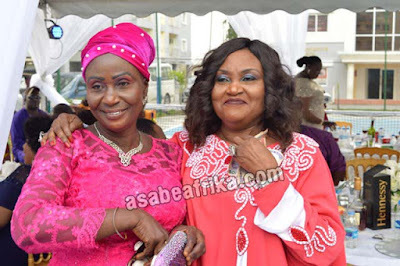 The Otunba Apena of Ikate land who is the last born of the family described his sister further “She is so accommodating; she is so nice and she really takes care of the family. She is a mother, someone who welcomes everybody. 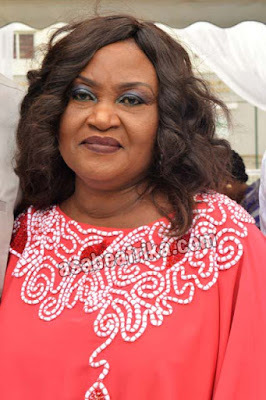 She considers family issue first before her own problem. 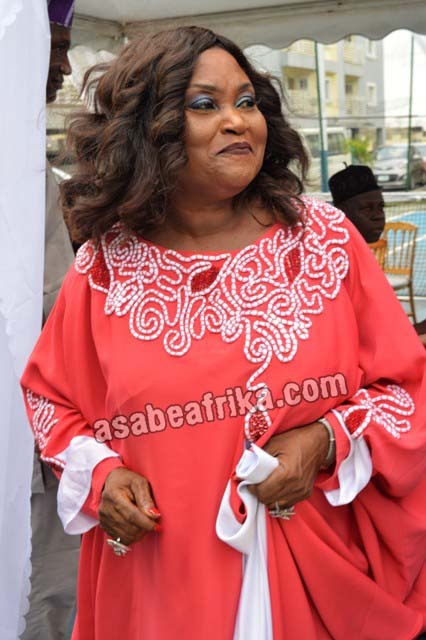 So, I have never ever regretted being a blood brother because she is a wonderful woman. In fact, I don’t know which word to use to qualify her good character. Well, the only thing I can say is that when next I am coming to this world, I will like to be her blood brother again”. 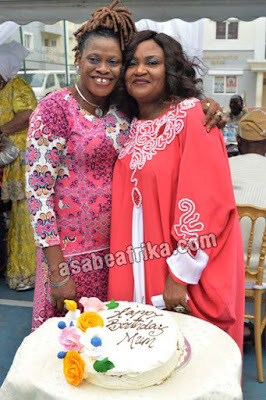 Hear this one, “The celebrant is a mother in a million, she is not a sister o; she is a mother and I love her”, that is the voice of Alhaja Kudirat Oderinde, immediate younger sister of the celebrant. 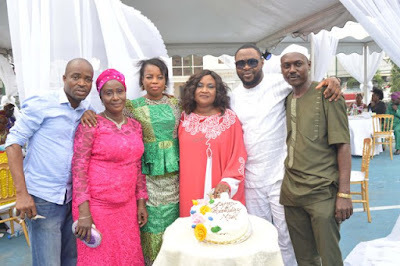 It was the turn of celebrant’s first son, Engineer Olukayode Idowu to say more for Mama and he didn’t miss words when he began to speak “Yeah, I feel good, I feel happy for myself and my mother, I thank God that she is still living, that God preserved her life for me. I thank God, I give glory to God. She has been a wonderful mother to me and my siblings, a very supportive mother. 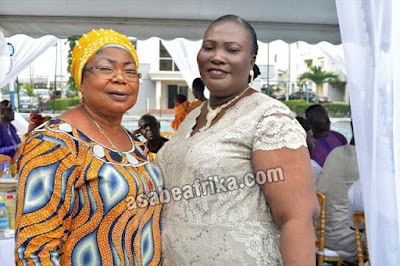 If I want to come back to this world again, I will choose her to be my mother”. 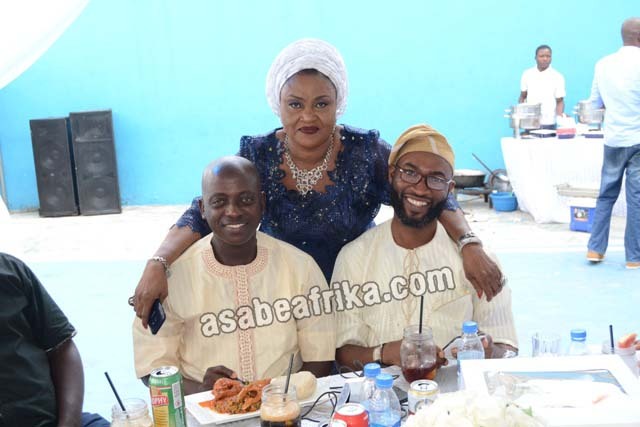 On his own part, he said “I think I am one of the closest pals of my mum because I do a lot of things with her” that is the voice of Honorable Olatunde Bello, her second son who is equally a politician like mum. 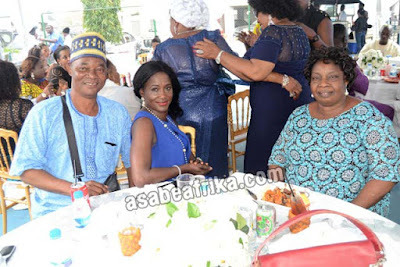 For her last born, Ademola Taoreed Ojugbele, happiness is the key word “I am so happy for my mom and I thank God she is still standing trim and fit” he declared with a smile hanging on his chin. 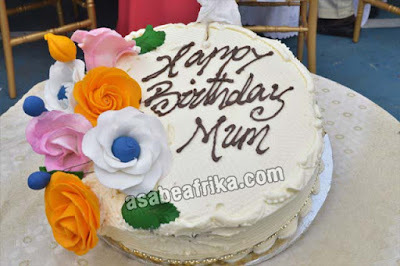 “If you ask me what makes my mum unique, I just think she is awesome. 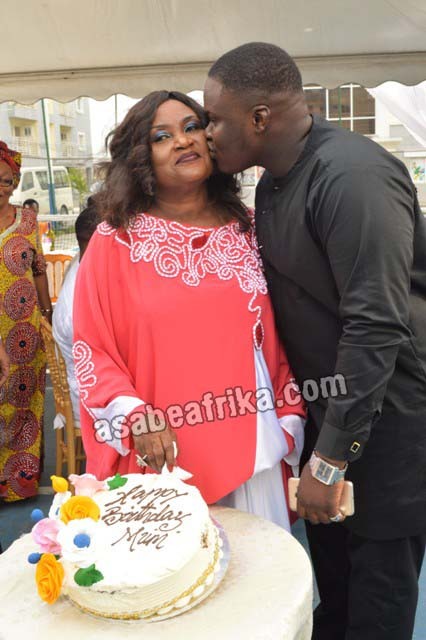 She is everything to me, she is my mother, and she is my counselor and my heartthrob. For those who came for the celebration I will say everyone should have fun” the younger Ojugbele declared. “You can see how women leaders came from all over Lagos to celebrate with her, it shows who she is. 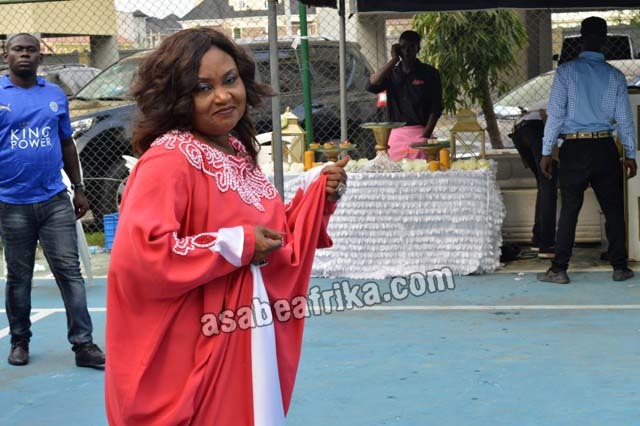 I pray God will elongate her life in order to enjoy the fruit of her labor. 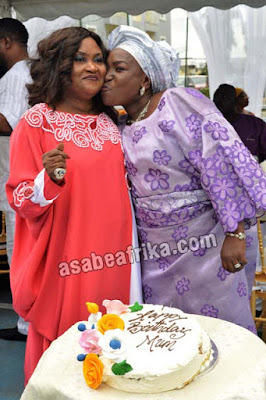 I won’t mind if God can even help me prolong her life to 150 or 200 because she is an epitome of kindness”.